Creamy Vegan Lemon Asparagus Pasta – A simple vegan pasta that requires simple ingredients and just 30 minutes! 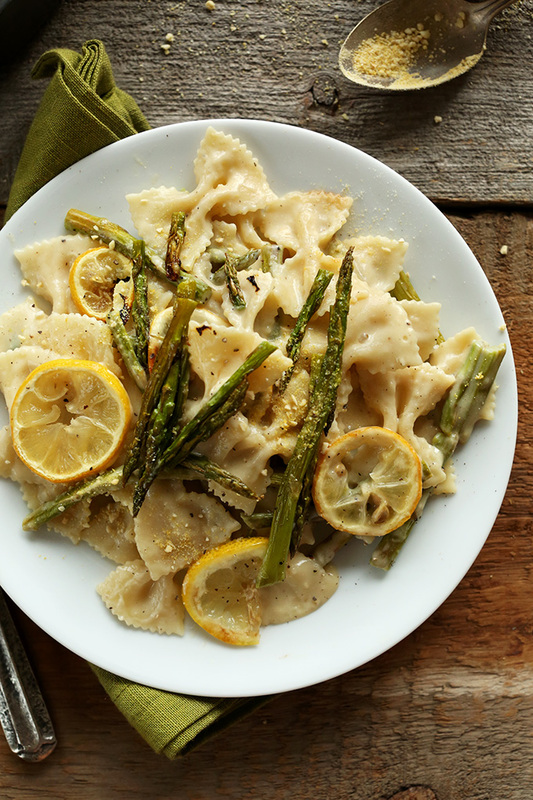 A creamy butter- and dairy-free white sauce is infused with lemon and roasted garlic. Simple, light, delicious. 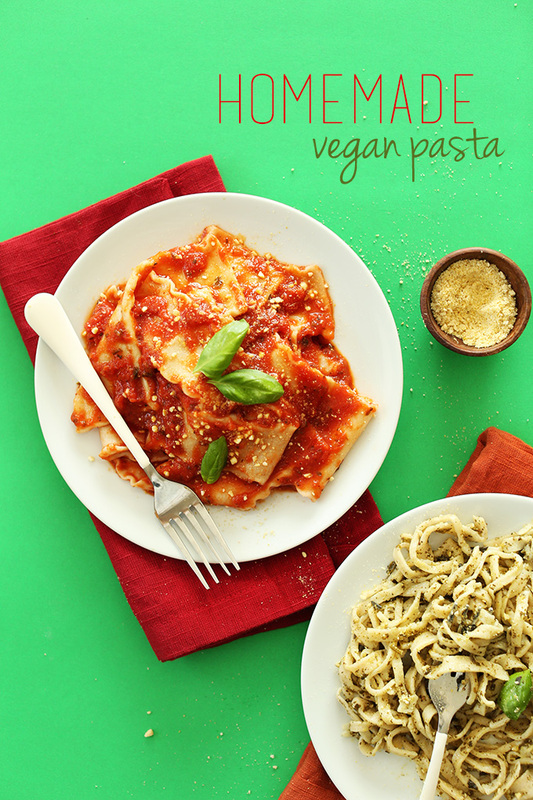 Homemade Vegan Pasta – Easy, 3-ingredient eggless pasta that takes 30-minutes to prepare and is customizable into any shape you want! 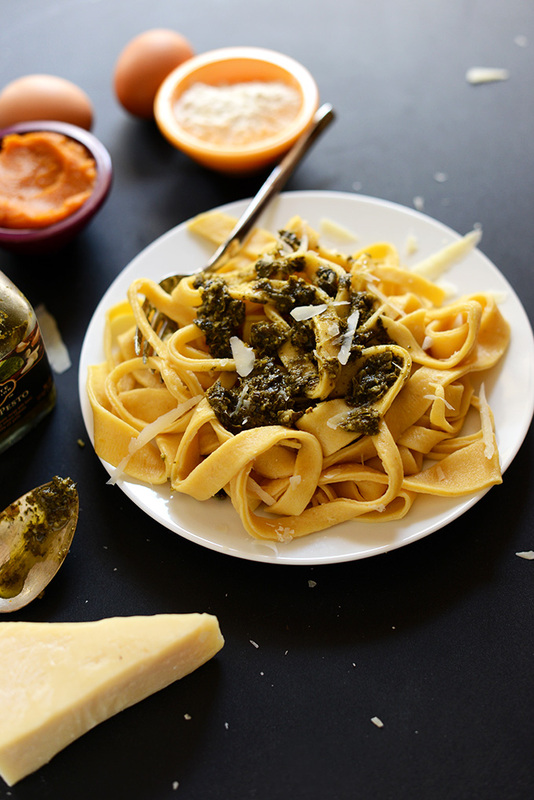 Homemade Pumpkin Pasta – Pumpkin pasta from scratch, no fancy techniques or pasta maker required! 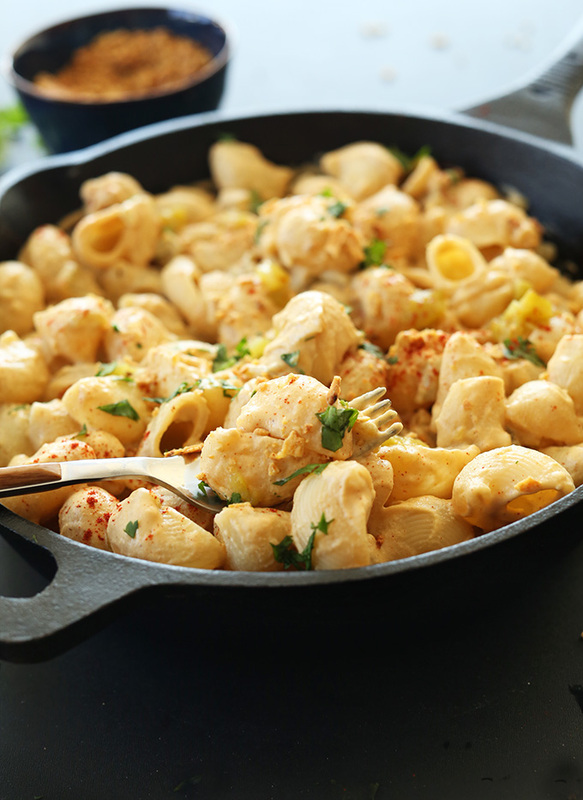 Garlic Mac N Cheese – Creamy, simple Vegan Mac ‘N’ Cheese infused with raw and roasted garlic for extra flavor! Just 10 ingredients required for this delicious, flavorful plant-based entree or side. Light Alfredo Sauce & Cheesy Garlic Ciabatta – A light and simple alfredo sauce that’s butter- and cream-free, and packs a ton of flavor thanks to fresh garlic, parmesan cheese and a spoonful of pesto. A ciabatta roll makes the perfect companion to this dish. 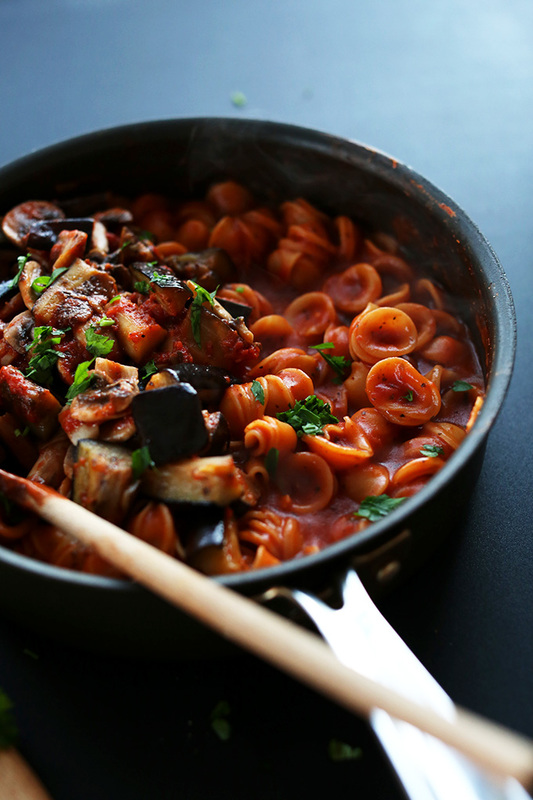 One Pot Vegan Pasta – Healthy, one pot vegan pasta with sauteed mushrooms and eggplant. Easy, customizable and super delicious. 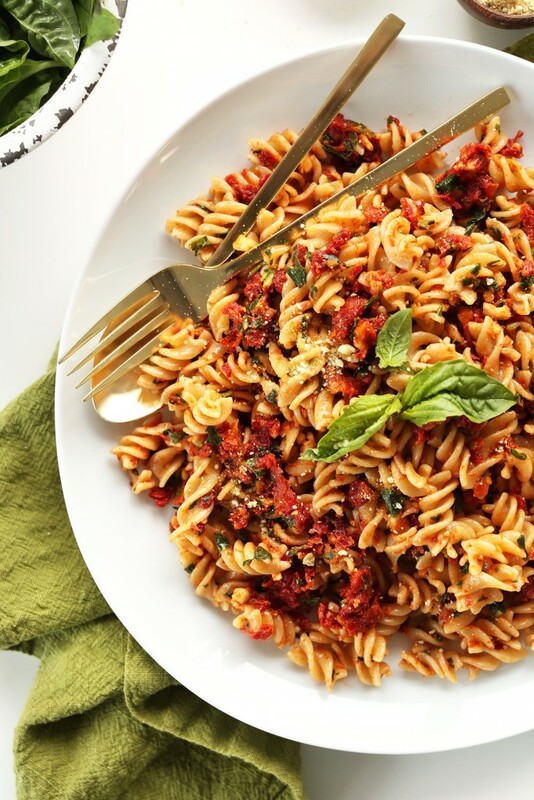 Sun-dried Tomato Pesto Vegan Pasta – Simple, 6 ingredient Sun-Dried Tomato Pesto Pasta that comes together in 20 minutes! An easy, healthy vegan, gluten free lunch or dinner. 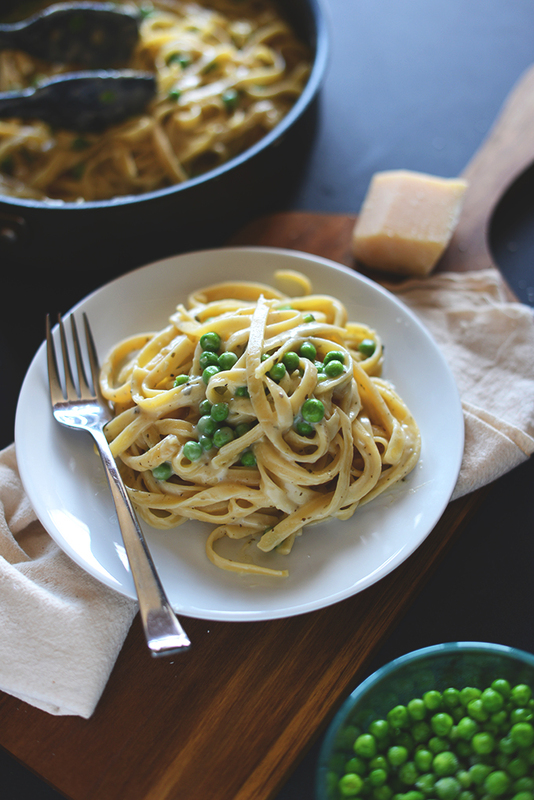 Butterless Alfredo with Peas – Simple butter-less alfredo pasta with peas – the perfect light springtime dish for any occasion. 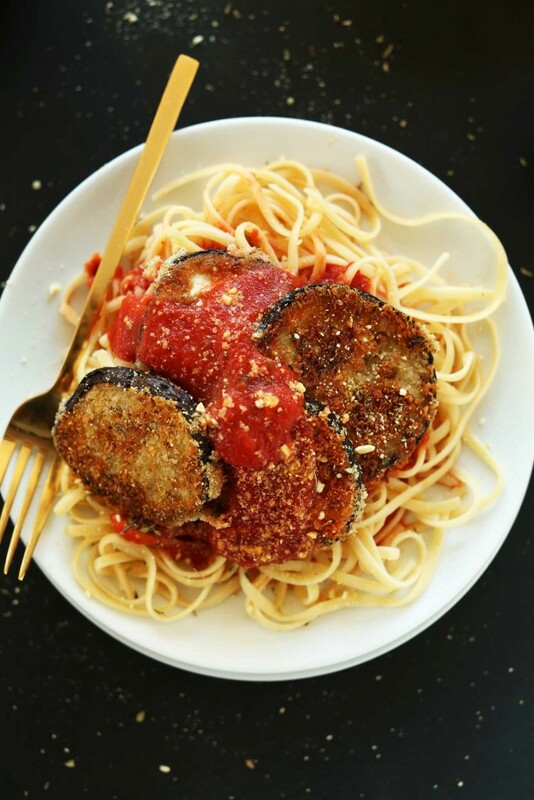 Vegan Eggplant Parmesan – Simple, 10 ingredient vegan parmesan that yields perfectly crispy, savory eggplant that pairs perfectly with red sauce and pasta of your choice! A healthy filling dinner even picky eaters will love. Vegan Green Chili Mac N Cheese – 10 ingredient, 30 minute vegan mac n cheese infused with green chili and topped with crispy baked crushed tortilla chips! 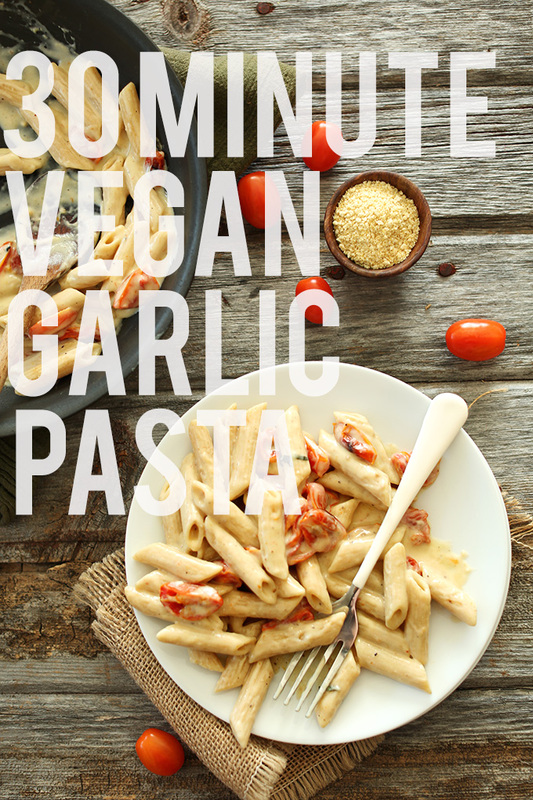 Creamy Vegan Garlic Pasta with Roasted Tomatoes – A 30 minute creamy pasta made with almond milk and infused with garlic and roasted tomatoes. Perfect for a quick, weeknight meal and feeding vegan/dairy free friends. 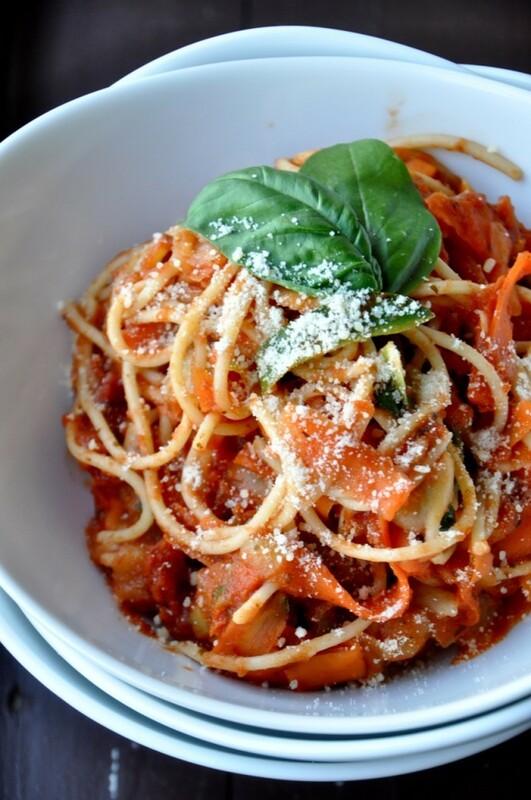 Three-Color Pasta with Roasted Red Pepper Sauce – This simple, 5-ingredient pasta comes together in about 15 minutes and is full of flavor from the sun dried tomato sauce. Add a few sprigs of basil on top to give the dish a fresh note. 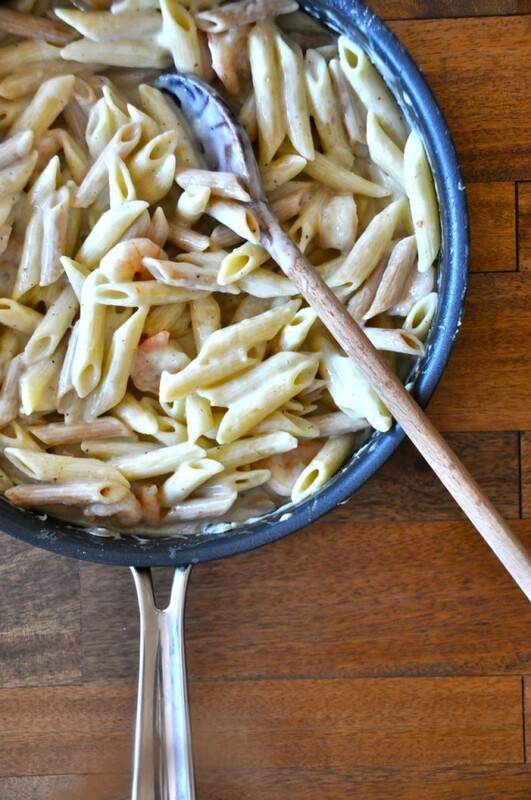 It can be made vegan by forgoing cheese, and gluten-free by using gluten-free pasta noodles. 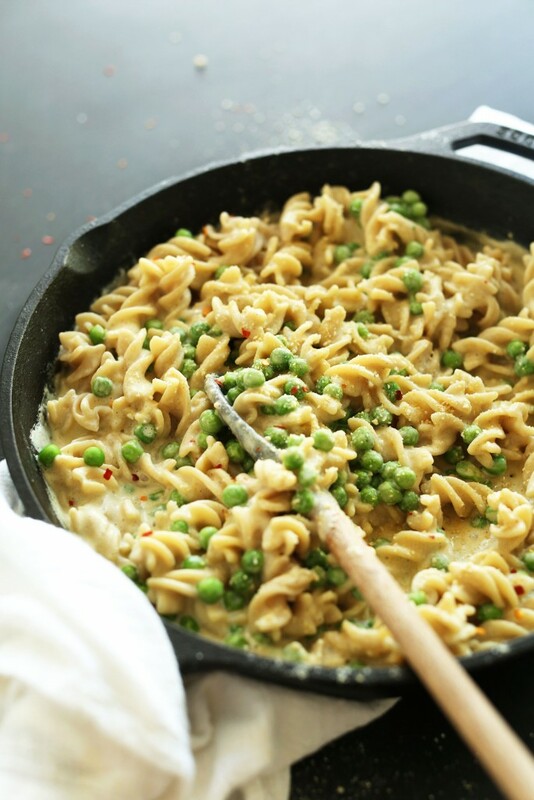 30-minute Vegan Alfredo – Creamy, 30-minute vegan alfredo made with 9 ingredients and simple methods. Add spring peas and vegan parmesan cheese for a satisfying plant-based meal. 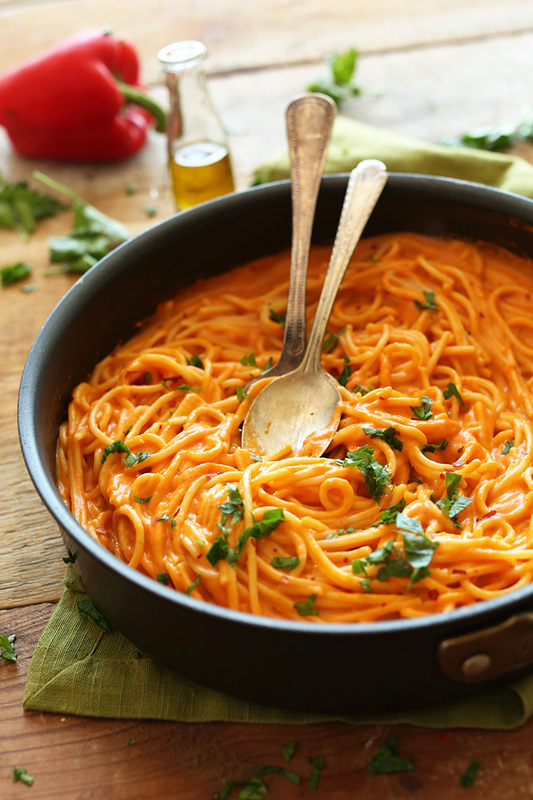 Vegan Roasted Red Pepper Pasta – 10-ingredient roasted red pepper pasta with a creamy, savory-sweet red pepper sauce and fresh parsley. Light, healthy and simple, yet incredibly satisfying. 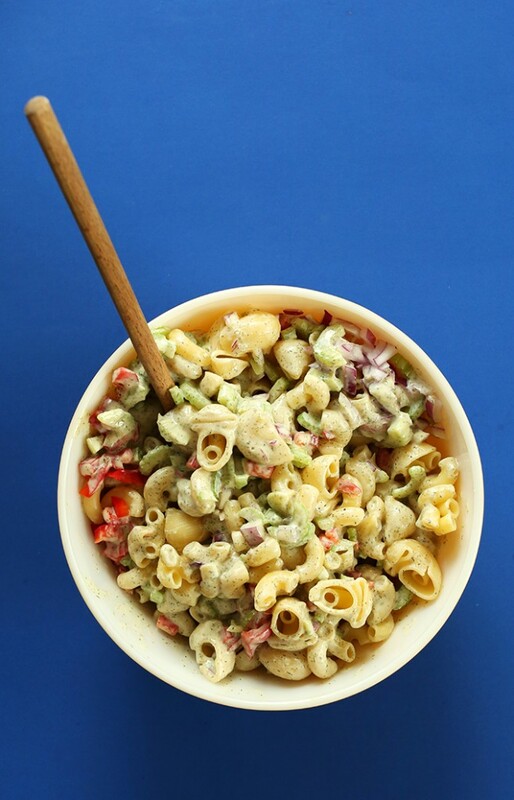 Vegan Macaroni Salad – 30-minute vegan pasta salad loaded with colorful veg and tossed in a dairy-free, undetectably tofu-based dressing. Perfect for summer shindigs, cookouts and picnics. 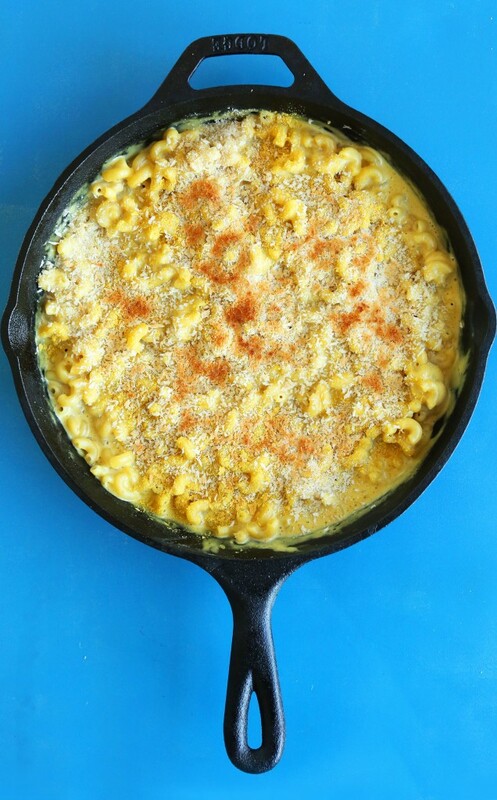 Vegan Caramelized Onion Mac N Cheese – 10-ingredient creamy mac ‘n’ cheese made with a simple eggplant-based cheese sauce! 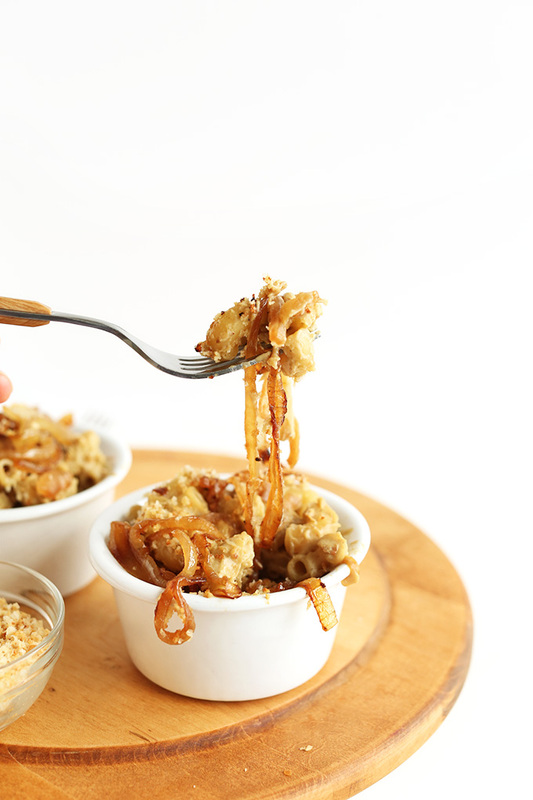 Caramelized onions and toasted breadcrumbs send this dish over the top. 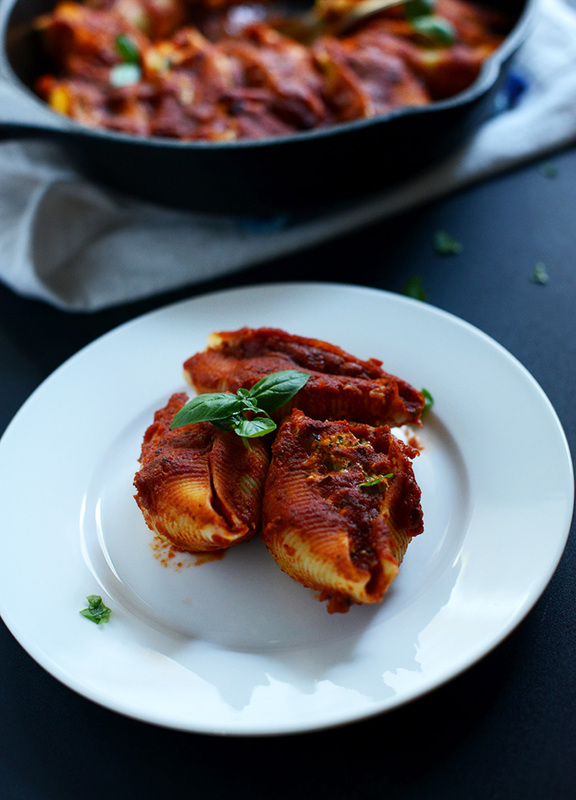 Easy Stuffed Vegan Shells with Roasted Eggplant – Simple stuffed shells with a dairy free tofu-eggplant-pesto filling. 6 ingredients vegan and so delicious. 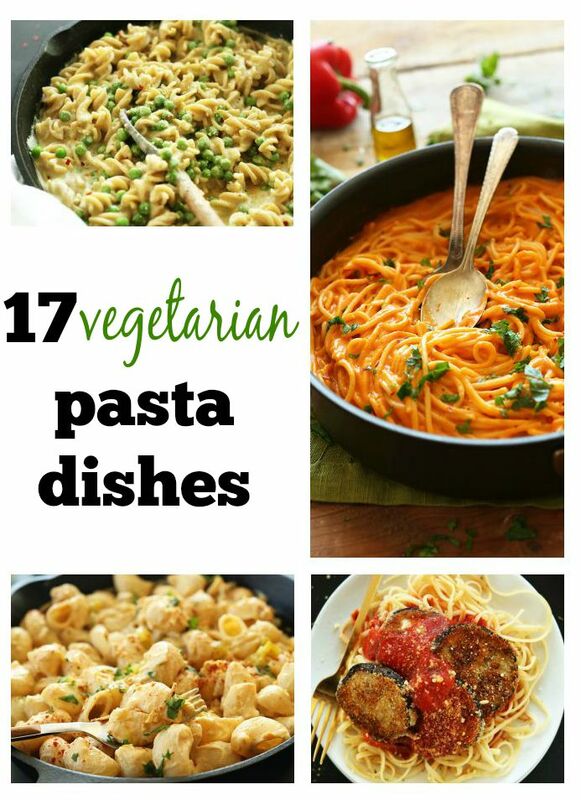 To satisfy all of your pasta cravings!